The facilities team at Navy Federal Credit Union has battled fouling in their chillers used to cool a data center for several years. Even though they use “Best Practice” chemical treatment, they have had difficulties due to poor quality cooling water. In fact, the condenser water was such that Navy Federal observed climbing approach temperatures due to condenser fouling within several weeks of the start of the cooling season. As a solution, Navy Federal installed a Helios Tube Cleaning System® (Helios) in the summer of 2018 on chiller WC-2, a 600-ton Trane chiller. The 2018 results have been predictably outstanding as the Helios produced a zero degree increase in approach temperatures for the Helios chiller during the run period. That’s right, Zero… None… Zilch. No evidence whatsoever of condenser fouling in WC-2. 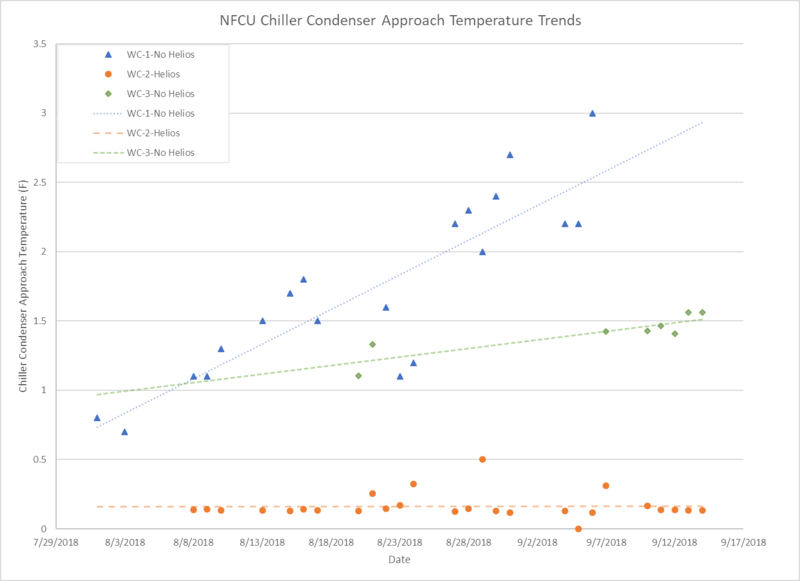 Conversely, the chillers without the Helios (WC-1 & WC-3) showed a consistent increase in fouling throughout the summer, as demonstrated by rising approach temperatures in the chart below. From the current results, it the chiller efficiency improvement attributed to the Helios is in excess of 10%. Navy Federal was originally optimistic about the Helios but they also held a healthy dose of skepticism. Navy Federal management carefully analyzed the Helios from a financial perspective, technical capability, and its integration impact on the operations team. The final touchpoint was a site visit to George Mason University (GMU) to observe an operating Helios. After seeing the Helios systems in operation and reviewing the data demonstrating the GMU Helios’s effectiveness, Navy Federal decided to try a Helios on a single chiller. The results were readily apparent within 30 days of operation, and Navy Federal’s opinion of the Helios? Well, within 90 days of operation Navy Federal ordered the additional Helios systems for the two Trane chillers still unserved by the Helios so they can eliminate fouling on all three chillers. 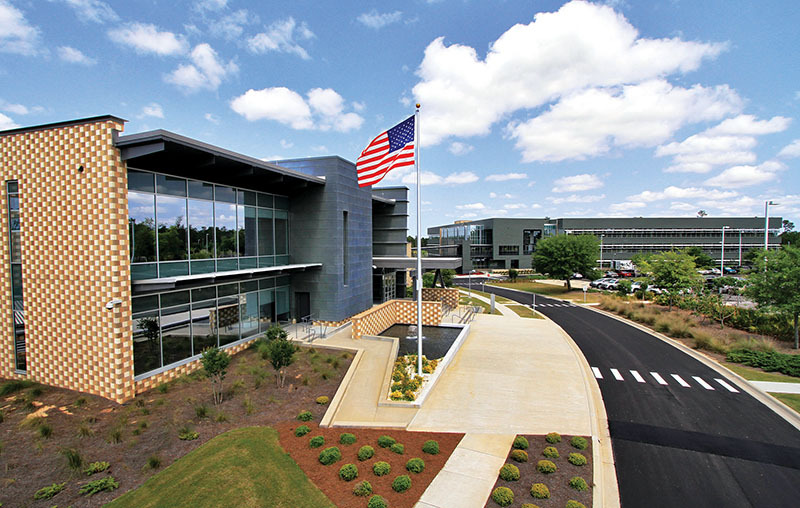 The Navy Federal team has improved the reliability of critical data center cooling, reduced chiller energy use and improved the capacity of the chillers.